It’s luxuriously rich with 2 types of cheese: Well technically 3 types since Colby Jack cheese is made up of Colby and Monterey Jack cheese! 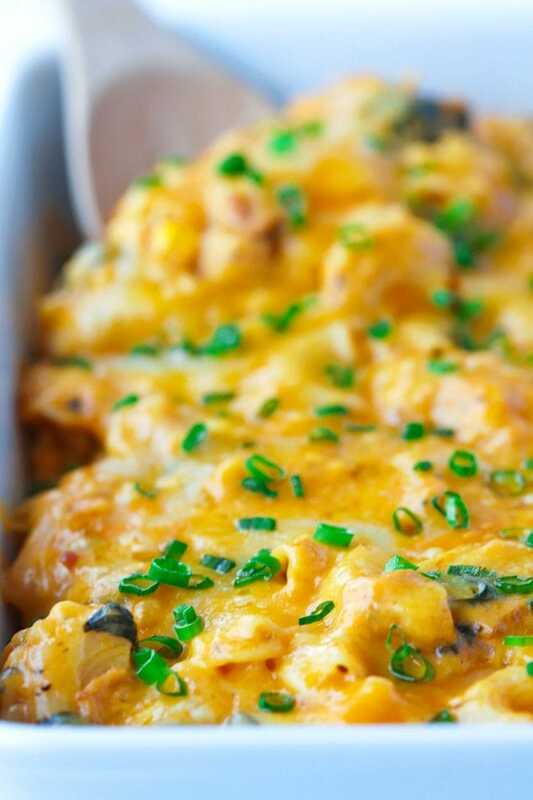 I use it along with freshly shredded sharp cheddar cheese for this recipe. But sometimes, I make this mac and cheese with a Muenster and cheddar cheese combo. 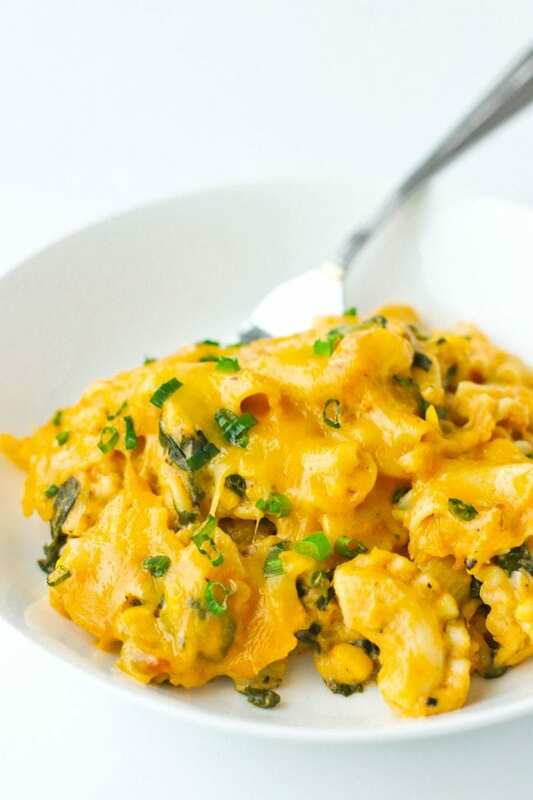 The latter results in a super dreamy, creamy, and lavishly rich sauce for the mac and cheese! Feel free to use whichever combo you like. 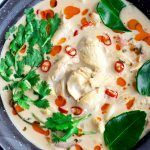 No heavy cream or the extra calories that comes with it! The sauce is made the good ol’ fashioned way with flour, butter, and lots of milk. 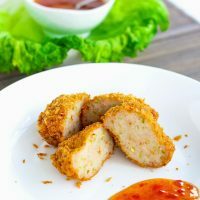 And when combined with the cheese, the sauce becomes extremely creamy, decadent, and delicious! 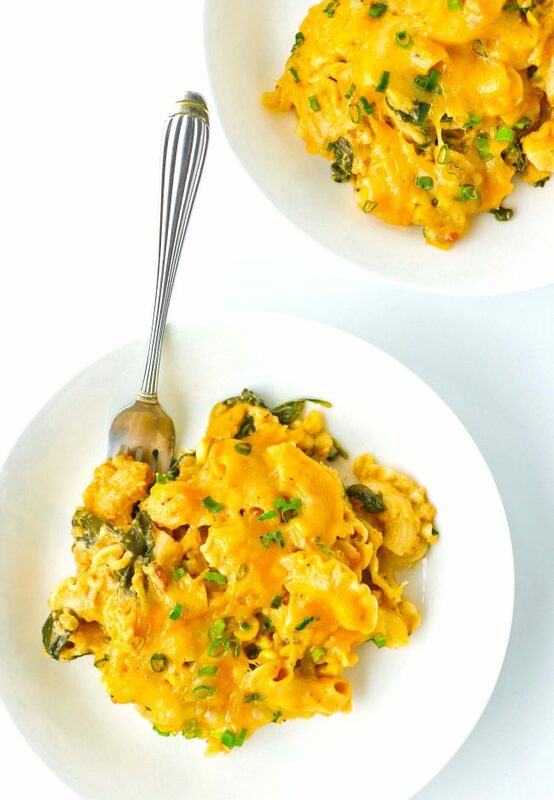 More nutritious than your typical mac and cheese because it’s loaded with fresh baby spinach leaves and sweet corn. The veggies not only make it taste good, but they also add an interesting texture to the dish. Not boring in the slightest because there’s no plain Jane macaroni involved, but Galletti n° 44 pasta instead – which is basically a dinosaur-ridged-back macaroni. 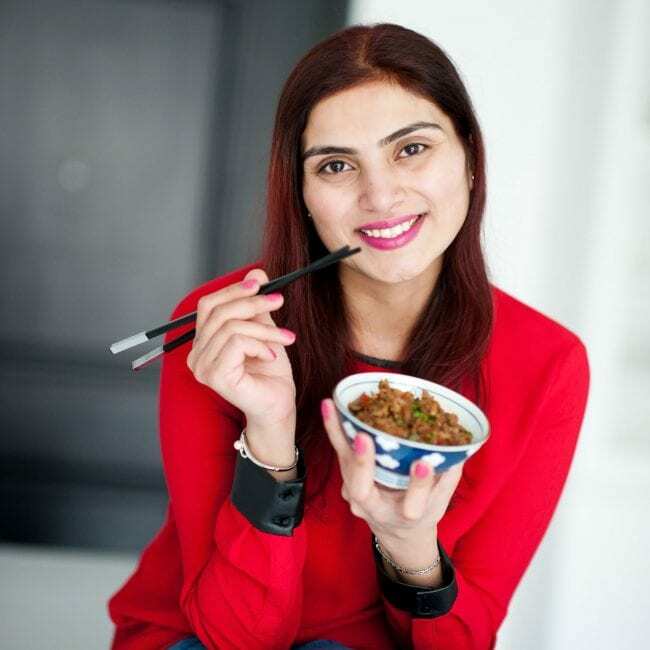 And it certainly makes the dish more fun and interesting in terms of appearance and taste! One word: BACON! 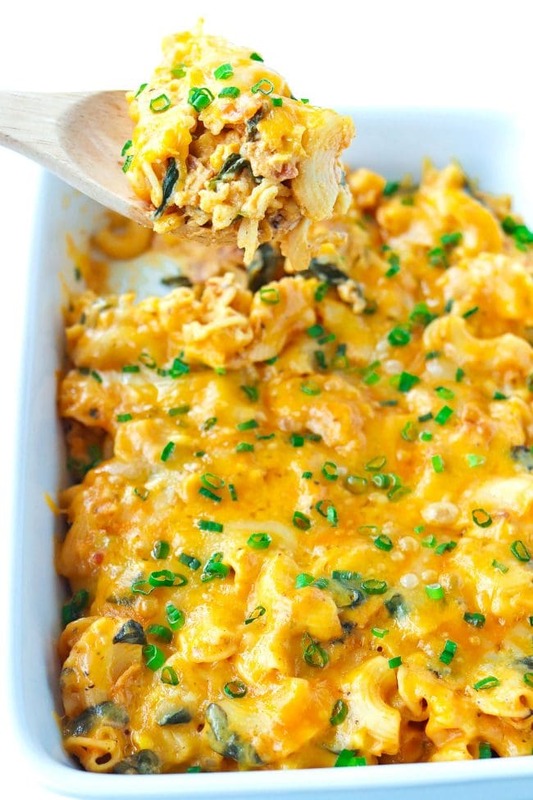 Not only does this mac and cheese have bacon inside of it, but it is also cooked IN the bacon drippings itself along with some unsalted butter! The smoky buttery umami flavor that results by doing so is unparalleled! 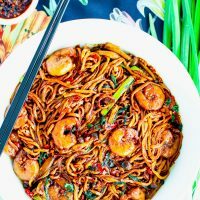 Consequently, it makes this dish sooooo much tastier! 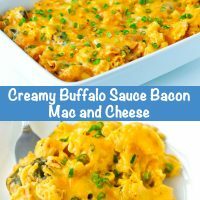 This Creamy Buffalo Sauce Bacon Mac and Cheese doesn’t take eons to make and just 25 minutes on the stovetop (once you have all you’re ingredients prepped) and just 13 minutes in the oven to melt the cheese. 8 ounces uncooked pasta: You can use macaroni, or any other short cut pasta. I like to use Galletti n°44 Pasta. Bacon: Chopped into bite sized pieces and cooked. 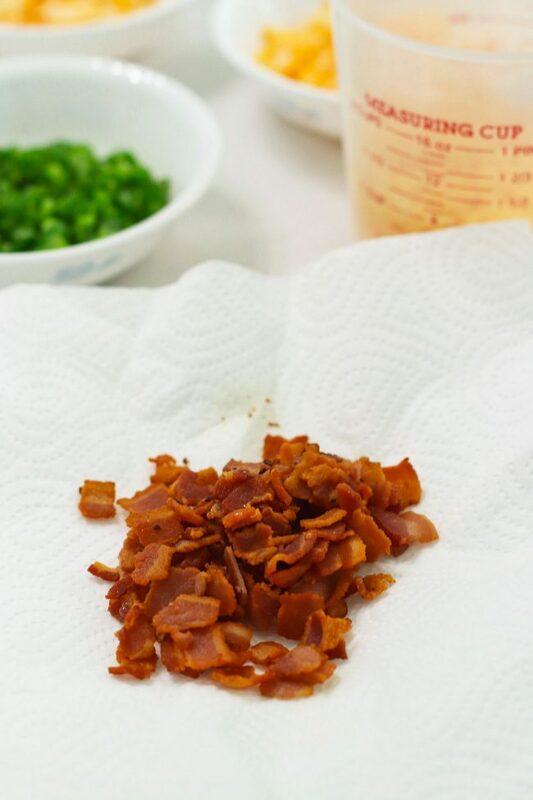 Don’t discard the excess grease after transferring the bacon to a paper towel lined plate! Use it along with some unsalted butter to make the rest of the dish. Veggies: Baby spinach leaves and sweet corn kernels – either frozen or fresh will work. I personally buy fresh sweet corn and baby spinach on a regular basis so I have them washed, shucked, and frozen in individual individual Ziploc freezer bags and ready to go whenever I need them! Aromatics: You’ll need some finely minced onion and garlic to add more flavor to the dish. While some people like to use the onion and garlic powder, I personally feel that the using the fresh version of both has a different taste. 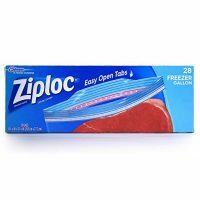 Hence, I prefer to sauté them in the bacon grease and butter instead of season the dish with the powdered versions of both. Unsalted Butter, All Purpose Flour, and Whole Milk: These three ingredients are the reason you don’t need heavy cream! They are used to make the creamy sauce. Seasonings: Kosher Salt, freshly cracked Black Pepper, and ground Cayenne for a little heat! The ground cayenne powder is optional, so feel free to eliminate it if you prefer less heat. 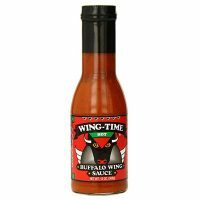 Hot Sauce: I like to use Wing Time’s Buffalo Wing Hot Sauce to kick up this mac and cheese a notch! But feel free to use Frank’s Red Hot or any other spicy tangy sauce you have on hand. Colby Jack or Muenster Cheese slices: Broken up into small pieces to help it melt. I use Sara Lee’s pre-sliced cheese because it doesn’t have any extra preservatives like some other brands do. Spring Onion (green parts only): Chop it up small and garnish your beautiful Creamy Buffalo Sauce Bacon Mac and Cheese with it! Cook the pasta: First, cook the pasta, corn, and spinach: Get a pot of boiling salted water going on the stove and add the pasta and corn. During the last minute of cooking the pasta, toss in the baby spinach to allow it to wilt. Drain and set aside. Cook the bacon: While the pasta is cooking, cook the bacon pieces until they’re nice and crisp in a large deep sauté pan. Use a slotted spoon to transfer to a paper towel lined plate, and leave the bacon grease in the pan. Sauté the aromatics: Add unsalted butter to the pan and swirl it around to combine with the bacon grease. Once it’s hot, add the onion and garlic and sauté until fragrant (and your house smells like bacon and onion-garlic love! ❤️). Make the cream sauce: Next, whisk in the flour and cook for a minute. Then gradually pour in the milk while continuing to whisk. 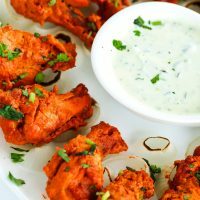 Season & spice it up! : Add in the seasonings: salt, pepper, ground cayenne (if using), as well as the Buffalo Hot Sauce. Add the cheese: Stir in a cup of the freshly shredded cheddar and 3 full slices of the broken up Colby Jack cheese (or Muenster Cheese if using). Stir until fully melted. Bring it all home! : Now add the pasta, corn, baby spinach, and crispy bacon back in. Stir and toss until fully combined and heated through. Bake: Transfer to a 9×13 baking dish (or 2 smaller ovenproof dishes) and scatter the remaining cheddar and pieces of Colby Jack cheese. Then, bake for 13 minutes in the oven until the cheese has melted and it’s nice and bubbly! Garnish: Sprinkle with the spring onion greens and serve immediately! Sure! Just eliminate the bacon. 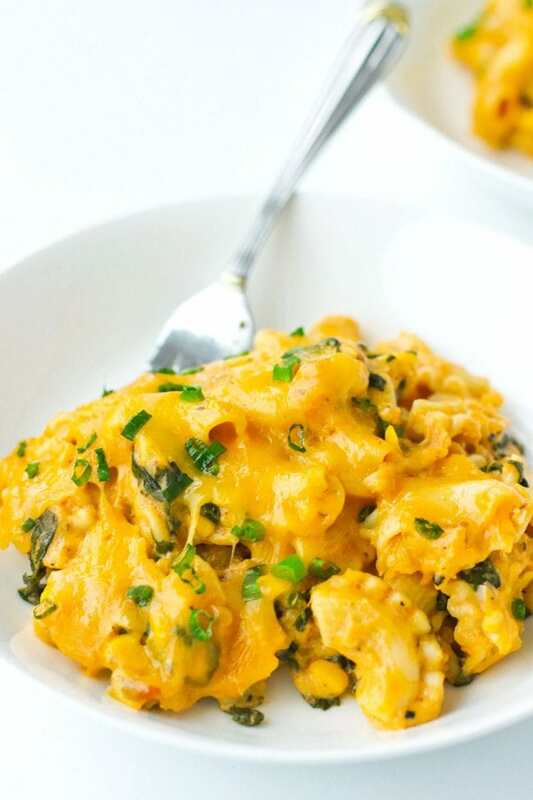 The mac and cheese might not be as smoky flavored. But you can totally just cook the dish with unsalted butter and olive oil (since you won’t have the leftover bacon grease from cooking the bacon). Also, I would add a plant or soy based protein, and/or minced mushrooms (white button, brown button, champignons, cremini, etc.) to make the dish more substantial. To make this vegan, eliminate the bacon like above and cook the dish in unsalted vegan butter and olive oil. In addition, use almond milk instead of whole milk, as well as vegan cheeses. Many brands these days offer vegan cheeses made from nuts, seeds, root vegetables, and sometimes even flour combined with almond milk. If you need to make this vegan, I recommend a trip to your local vegan store or big supermarket to see what vegan cheeses they have available. Again, look for a block of cheddar instead of pre-shredded. Yes! Just use gluten-free flour and ensure that the cheese you are using is GF certified. Regarding GF cheese, most cheeses that are widely available are gluten-free. However, it is best to always double check the label on ingredients if you need to make something for someone with specific dietary needs. 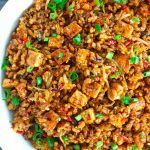 As for GF flour, I personally like using Bob’s Red Mill Sweet White Rice Flour when I have to make this recipe gluten-free for friends who can’t eat gluten. So there you have it friends. 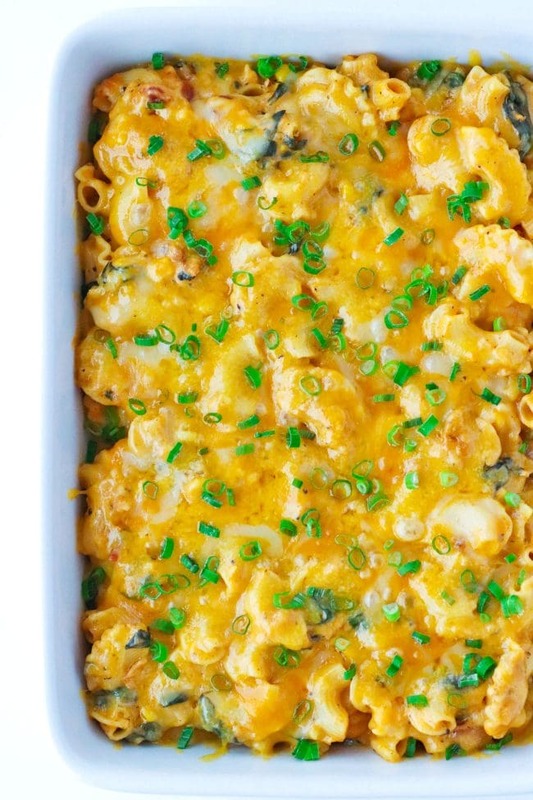 The ultimate and BEST mac and cheese recipe that’ll convert any mac and cheese hater! 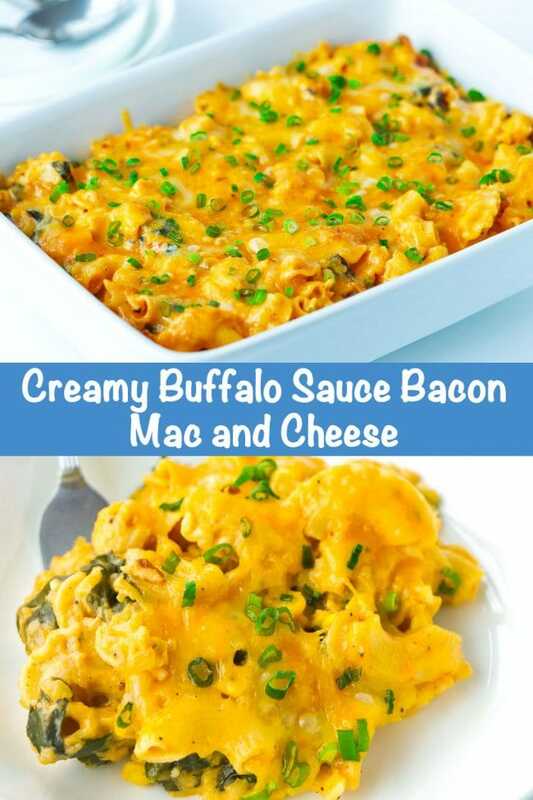 I guarantee it’ll satiate all your creamy-dreamy-deliciously-bacon-y-buffalo-saucy-mac-and-cheese dreams! 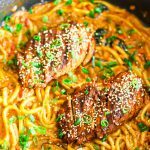 Looking for more easy weeknight pastas? 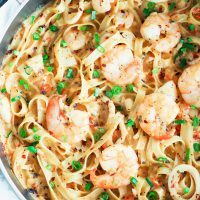 Below are some of my go-to quick & easy pasta faves! Bring a large pot of salted water to a boil. Add the pasta and corn and cook until al dente according to package instructions. In the last minute of cooking, add the baby spinach. Drain and set aside. Meanwhile, in a large deep sauté pan, cook the bacon over medium-high heat until crisp and cooked through. Transfer to a plate lined with a paper towel to drain off the excess grease and set aside. In the same pan with the bacon drippings, add the onion and garlic and sauté until fragrant – about 2 minutes. Whisk in the flour and cook for 1-2 minutes. Lower the heat to medium-low and gradually pour in the milk while continuing to whisk until thickened. Season with kosher salt, black pepper, and ground cayenne to taste, and pout in the Buffalo Sauce. Continue whisking until combined. 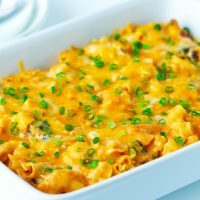 Sprinkle in 1 cup of the freshly grated cheddar cheese and add 3 slices of the colby jack cheese and continue whisking until the sauce hack thickened – about 4-6 minutes. 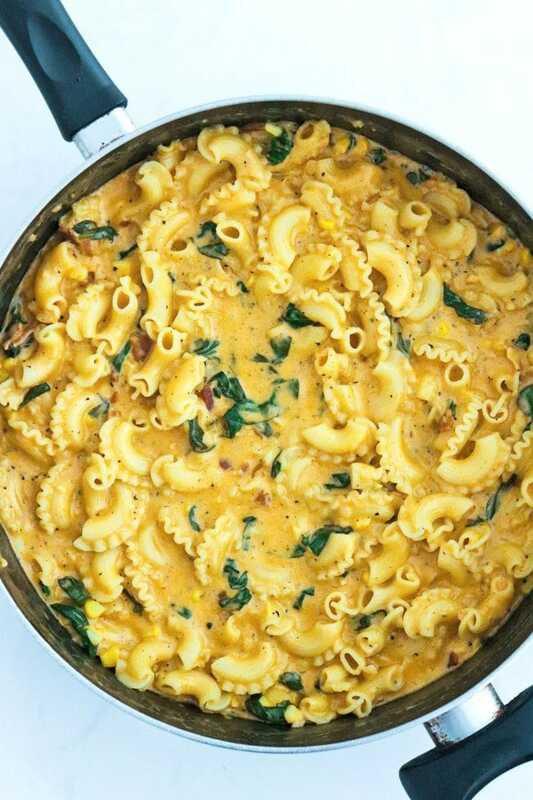 Add the pasta, corn, spinach, and bacon and mix until fully coated in the sauce. 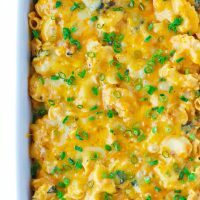 Transfer to a large 9×13 baking dish and scatter the remaining grated cheddar cheese and colby jack cheese pieces on top. 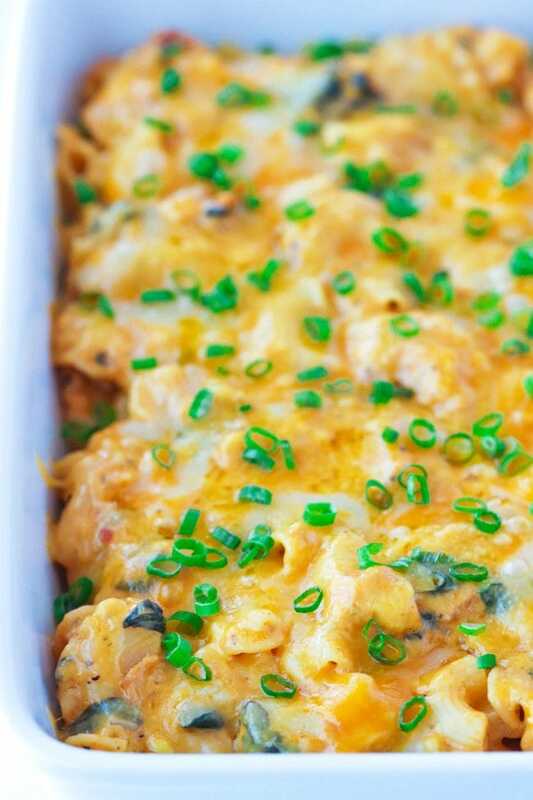 Bake for 13-15 minutes until the cheese is bubbly and the pasta has heated through. 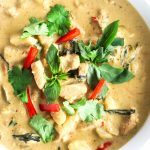 Garnish immediately with the spring onion greens and serve! Baking time may vary depending on your oven. But you’ll know to remove the dish from the oven once the cheese has melted and is nice and bubbly. To make this vegetarian: Eliminate the bacon and cook the dish in unsalted butter and olive oil. 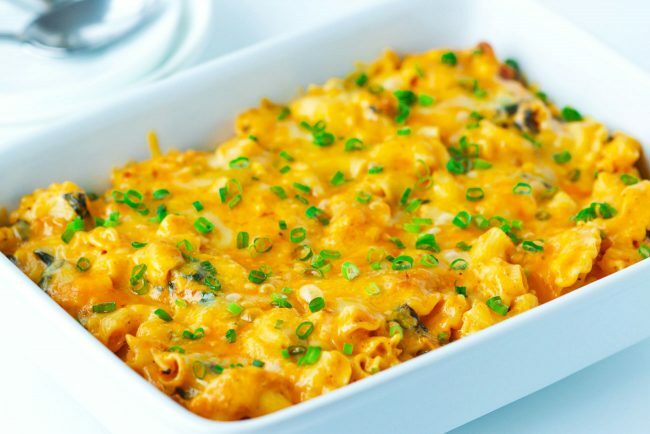 You can add a plant or soy based protein, or your favorite mushrooms to make the mac and cheese more substantial. To make this vegan: Eliminate the bacon like above and cook the dish in unsalted vegan butter and olive oil. In addition, use almond milk in place of the whole milk and vegan cheese. 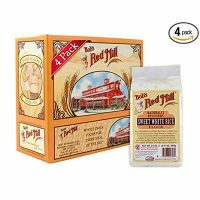 To make this gluten-free: Use a gluten-free flour such as Bob’s Red Mill Sweet White Rice Flour, and ensure that the cheese you are using is GF certified.